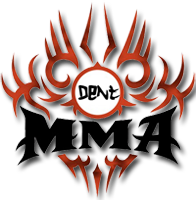 MMA-Torrents.com Forum • View topic - Donation Sign-Up Question? Post subject: Donation Sign-Up Question? Hi there, I am looking to donate to mma-torrents.com I started Jiu Jitsu last year and a training partner said you have a vast amount of bjj torrents. He said you probably have over 3tb of downloads. I had a look at the donation page and the highest it goes to is 500gb. If I say wanted to download 2tb of bjj material how much or how can I donate what the files are worth? The reason I ask is I do not really have the time to re-upload every file that I download so I would basically just like to pay for what I download if that is possible? Or if a moderator could provide me with a deal outside of what is listed? I hope you understand what I am trying to ask and hope to hear back from you soon. Post subject: Re: Donation Sign-Up Question? I will contact you in a private message for this matter. General information: You can start with a smaller donation, gain membership, and then contribute more to the maintenance of the community by donating again, as a member. There are no limits to how many donations you can make.